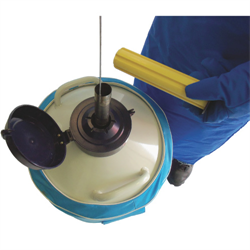 Ratermann Manufacturing, Inc. stocks Lab Dewars and Dewar Specimen Tanks of various sizes. Our Dewars lead the industry in high performance and efficiency for liquid nitrogen. Ratermann Manufacutring, Inc. carries lab type 4 liter through 50 liter dewars. 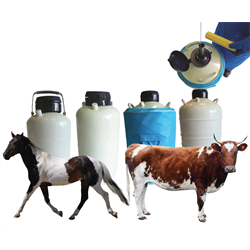 Our industrial and medical tanks have a working pressure up to 500 PSI and range from 180 liter to 265 liter. These tanks are D.O.T rated for road transport (4L). 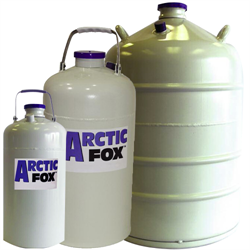 Ratermann Manufacturing also offers a line of Arctic Fox mini bulk dewars for large storage from 1000 liter to 2000 liter stationary ASME approved and not intended for road transport. Need additional help? 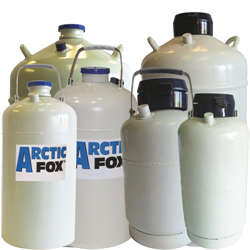 Call 800-264-7793 and we'll be happy to assist you find the Lab Dewars and Dewar Specimen Storage Tanks to meet your requirements.